Signed and dated l.l. corner, black ink "R.S. Wakelin 1919". 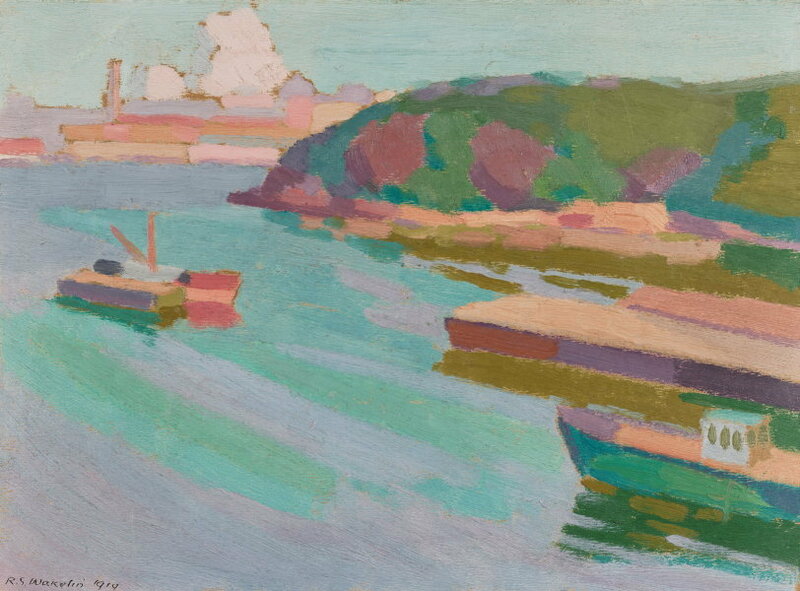 Deborah Clark, Sydney moderns: art for a new world , 'Roland Wakelin: the early years', pg. 42-45, Sydney, 2013, 45 (colour illus. ), 317. 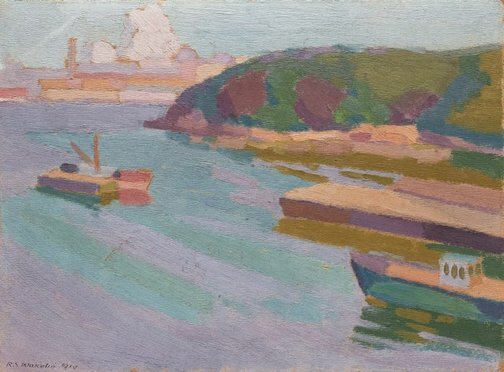 Peter Emmett, Sydney: metropolis, suburb, harbour , 'Harbour', pg. 123-124, Glebe, 2000, 173, 174 (colour illus.). Heather Johnson, Parallel visions: works from the Australian collection , 'Roy de Maistre / Roland Wakelin', pg. 48-59, Sydney, 2002, 48, 57 (colour illus. ), 146, 147. Colour in art: Revisiting 1919 , Sydney, 2008, 41 (colour illus. ).